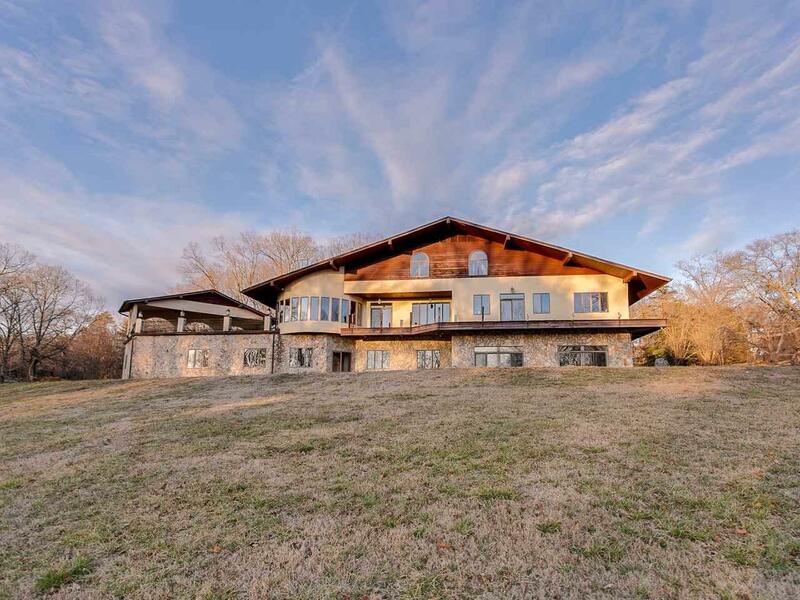 101 Lakeridge Lane, Spartanburg, SC 29301 (#249540) :: Century 21 Blackwell & Co. Realty, Inc.
Nestled on 5.2 acres and minutes from the Westside of Spartanburg this European Style home is a dream with 6 bedrooms, 5 with their own on suites, and 2 half baths. 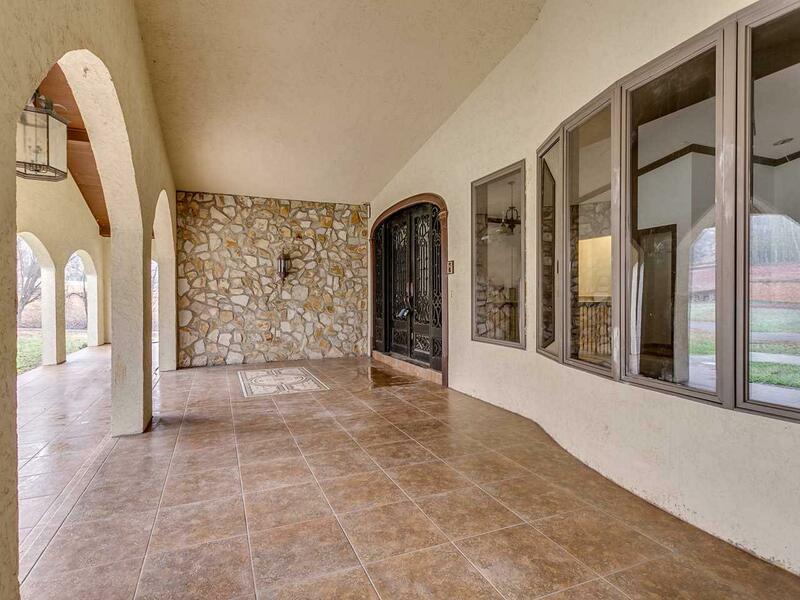 Youre greeted by custom tile inlay on the portico as you approach the handmade iron doors. Enter into the marble foyer with more integrate ironworks on the grand staircase and ornately trimmed with custom stone work. The great room has magnificent rounded wall of windows to make the most of the views which are highlighted by glow of the fire pit. The partially covered veranda beckons you to come and relax under the ceiling fan while you gaze at the stars over the lake. The Dining room is large enough for any dinner party and is trimmed with wainscoting, chair, and crown molding. The kitchen offers custom cabinetry that disguises the fridge and dishwashers, and an eight burner gas range with double ovens tucked in the oversized island. All your storage and preparation needs are covered with the butlers pantry and the pass through to the dining room. Tucked just behind the kitchen is a den that boasts an authentic European Style Dutch oven. The Master on the main just keeps going with custom built in closet, vanity, bidet, Jacuzzi for two, and a 9x5 glass shower and double sinks. Enjoy the view from this side of the house with the wrap around deck that has doors in the Great room, Kitchen, and Master bedroom. Next to the master is a great Office/Nursery space, it has a large closet for storage. Theres another mini suite on this floor that has a sitting room, bedroom, walk-in closet, and full bath with bidet, this could also be a in-law suite. Ride the elevator to the lower level which has three suites, one with sitting room, Kitchenette, Laundry, Office, three bay garage with storage room, Billiards room, Exercise room w/Shower and a half bath all before you get to the beautiful indoor pool. The pool room has sliding doors, pre-plumbed for kitchenette and shower, Fireplace, and concrete deck for grilling. 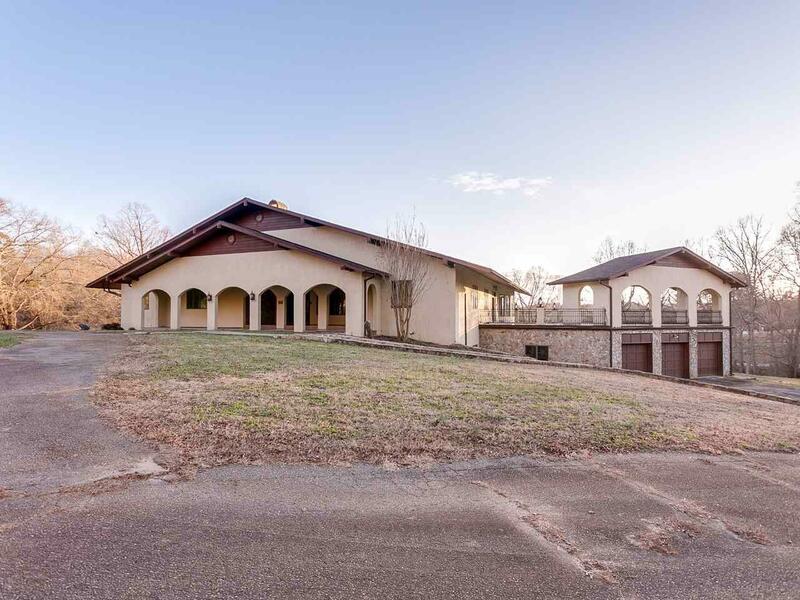 This home is a rare find and is a must to see. Recent updates are a new roof and 4 new HVAC units. This home is being sold in as is condition. 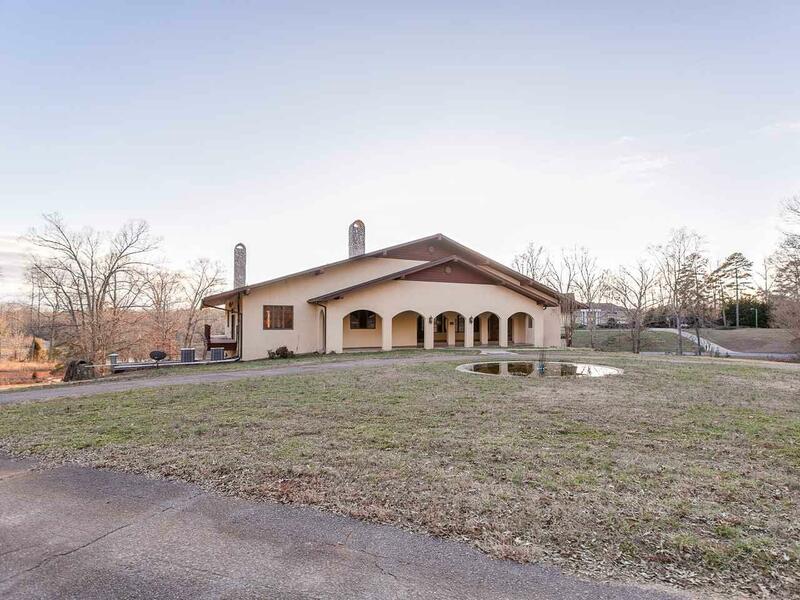 You must view this home to see and appreciate all the unique feature this home has to offer.